Florence Mill goes back almost as far as Forest City. The story of the mill began in 1885 when the Forest City Cotton Mill was organized by several of the city’s leading citizens. A brick mill building was erected and some second hand machinery. This was just a small yarn operation and it suspended operations after a few years. 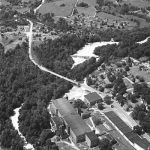 Florence Mill was organized on July 15, 1892 by Raleigh Rutherford Haynes, S. B. Tanner, Dr. T. B. Lovelace, and S. O. Smith, all of Rutherford County, and B. D. Heath, a banker from Mecklenburg County. Haynes, Lovelace and Heath were later part of the group that founded and built Cliffside Mill. The first stockholders meeting was held on July 21, in Dr. Lovelace’s office in Henrietta. The amount of stock subscribed was $8,000, the price paid for one and a half acres of land formerly owned by the Forest City Cotton Mills, with buildings and machinery. A single share of stock cost $100. An early view of Florence Mill and village. 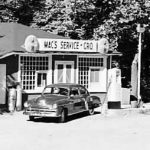 From Cliffside Historical Society archives. The mill was named after R. R. Haynes’ oldest daughter. 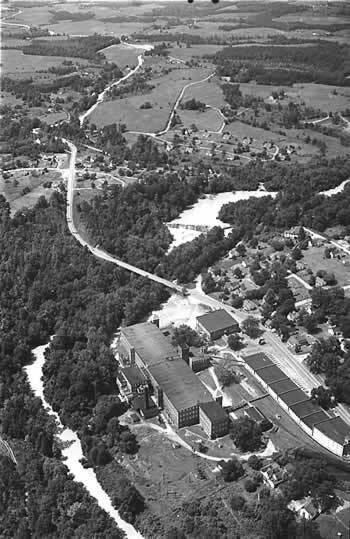 Haynes was general manager of the mill, which sold its yarn to the nearby weaving plants at Henrietta and Caroleen. To increase profits the capital stock of the mill was increased in January 1896 from $56,000 to $100,000. This increased capital was used for the erection of a new brick factory building and the installment of new machinery and equipment. That building is the one in use today . On October 5, 1897, the capital stock was increased from $100,000 to $250,000 in order to complete the mill buildings and install the required machinery to operation 12,000 spinning spindles, and 200 Draper looms, with an additional 200 Lowell looms, all manufacturing cotton sheeting. At the annual meeting of stockholders on June 8, 1899, Charles E. Sampson, one of the founders of the American Spinning Company, Greenville, S.C. was listed as a stockholder. Out of the accumulated profits the mill increased the building and machinery up to a total of 19,920 spinning spindles and 554 Draper looms manufacturing fancy cotton flannels. In May of 1906 the directors elected Charles E. Sampson as president of the corporation. 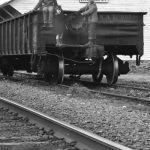 On November 12, 1920, a common stock dividend of 100 per cent was declared out of the surplus, thereby increasing the outstanding capital stock to about $500,000. In their meeting of May 24, 1922 the directors voted to extend corporate existence for another 100 years after the current duration terminated on July 15, 1922. During 1926 negotiations were made for the purchase of all the outstanding common stock of the American Spinning Company of Greenville, S.C., consisting of 54,000 spindles, and 1,104 Draper looms manufacturing print clothes and yarns. This unit was modernized beginning in 1937, by the addition of 43,428 new Whiting long draft spindles and 313 Draper looms. To finance the purchase of the American Spinning Company on December 29, 1926, the capital stock of the Florence Mills was authorized to be increased by $1,742,500. Of this, $1,560,000 was to be common stock. A new class of stock, preferred stock, was created in the amount of $682,000, so the authorized stock of the corporation increased from $500,000 to $2,242,500. In early 1934 a modernization program was started and a total of $300,000 was expended in placing the Forest City mill in good operating condition. 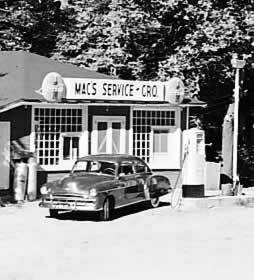 Up to December 20, 1947, and addition $325,000 was spent on new machinery, building and equipment, making the total outlay during the period $625,000. Cone Mills started acquiring the stock of the Florence Mills in 1935 and by October of 1941 had 100 percent of the outstanding stock, but continued to operate as a separate corporation. In November 1937, Benjamin Cone was elected to the board (the first Cone official to hold such a position). 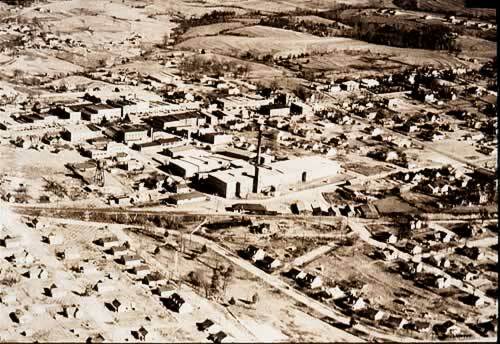 At their meeting on November 9, 1950, the directors authorized the sale of Florence Plant’s mill village electric system to the town of Forest City for $5,000. Hereafter, the town was to provide electricity to the mill houses. On January 1, 1953, the Florence Mills charter was liquidated and consolidated into records of Cone Mills Corporation.